The average price of a gallon of self-serve regular gasoline in San Diego County dropped Friday for the 28th time in 29 days following a 35-day streak of increases, decreasing 1.1 cents to $3.198. The average price has dropped 30.3 cents over the past 29 days, including eight-tenths of a cent on Thursday, according to figures from the AAA and Oil Price Information Service. It rose $1.076 during the 35-day streak of increases. The average price dropped for 24 consecutive days, rose one-tenth of a cent on Monday and resumed dropping on Tuesday. The average price is 5.4 cents less than one week ago, 28 cents lower than one month ago and 84.6 cents below what it was one year ago. 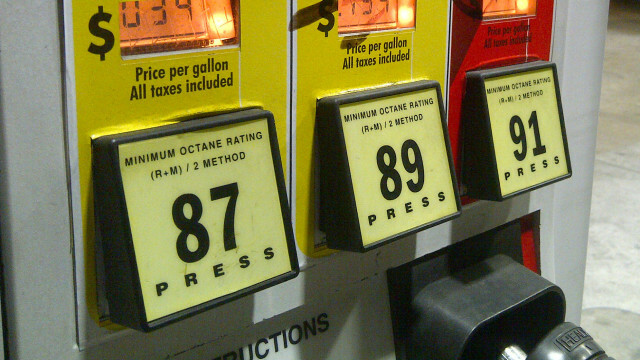 “Wholesale gasoline prices have fluctuated, but so far they have remained at levels allowing many local gas stations to charge close to or less than $3 a gallon,” said Jeffrey Spring, the Automobile Club of Southern California’s corporate communications manager.